A judge says she plans to release information Friday that puts another blemish on former Assembly Speaker Sheldon Silver's record in office, months after NBC 4 New York and The New York Times fought to get the files unsealed. Manhattan federal Judge Valerie Caproni announced her intention Thursday after a Silver lawyer argued against it. Silver declined comment. Caproni says the documents will be released at 9 a.m. Friday. The 72-year-old Democrat was convicted in November in a $5 million corruption case. Prosecutors say he traded favors to enrich himself and then lied about it. The documents may be considered during his sentencing, scheduled for May 3. Lawyers for The New York Times and NBC 4 New York asked the judge in February to unseal documents pertaining to evidence excluded from trial. The judge said the evidence pertained to something that wasn't one of Silver's better moments. 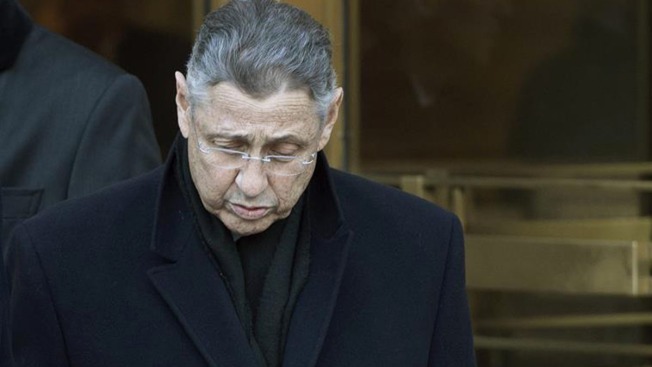 NBC 4 New York was the first media outlet to ask the court to release the documents tied to the federal probe into the $4 million in payments and legal fees Silver received in exchange for using his office to help real estate developers and a doctor seeking state funding grants. Attorneys for Silver and a still-unnamed woman linked to him have been trying for weeks to prevent the public from learning what's in the court papers. Silver's lawyers had opposed the unsealing on grounds they could jeopardize a fair trial if Silver wins an appeal, while Abbe Lowell, an attorney for the woman had argued her privacy rights are in jeopardy. The judge said the woman's name and some other portions of the documents may be redacted to try to protect any privacy interests, but much of the materials will be released. Lowell could try to get an appeals court to stop the release of materials before Friday morning.